January 2017 Open Screen Night – New Year’s Reave! WE ARE NOT A FILM FESTIVAL. 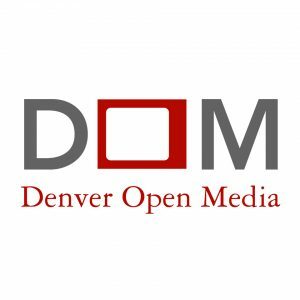 Open Screen Night is DENVER’S BEST OPEN MIC NIGHT FOR VIDEO! Every other month, you’re invited to share a video featuring a variety of content such as comedies, dramas, action, surrealist, romance, web-series’, animations, narratives, documentaries, vacations, dumb stunts, and cat vines, etc. as long as it’s under 10 minutes long, for a chance to win great prizes! You’re also invited to just come hangout with cool people and watch the weirdness. Bring an authored BLU-RAY or DVD to the event. No self-contained files. We drop it in the tray and it plays. That simple. OR, submit your film as a MP4 or MOV on a USB drive. What are acceptable digital formats? 1280×720 resolution, h264 .mp4’s and .mov’s run the best on our system but we’ll also accept up to 1920×1080. Audio can be stereo AAC or WAV. Get those audio levels to between -6db and -12db. DO NOT SUBMIT A 2GB OR GREATER FILE! If you do, Brad will ruin your life equally as you’ve ruined his. A 10 minute .mp4 is usually under 1GB and still looks good. If you still have questions, just consult with submissions@openscreennight.com and we’ll work with you to figure it out. Can I just stream my film off YouTube or Vimeo? No. The venue does not provide adequate internet service for this. What kinds of videos are we looking for? Anything really. Comedies, dramas, action, adventure, romance, web-series’, animations, narratives, documentaries, vacations, dumb stunts, cat vines, portfolio reels… the wilder the better. The only videos we won’t tolerate are ones with hateful or abusive content. Is there a limit to the length of the videos? Yes. They can be as short as you want, but they cannot be longer than 15 minutes. Shorter videos go over better with the audience and we’ll be able to fit more submissions into the show that way. If your video is longer than 15 minutes and can’t be shortened, you can try and bring it to the show the night of and, if we have room, we’ll program it. Can I submit more than one video? We only accept one submission per person or team each event. However, you could edit multiple videos into one submission up to 15 minutes long if you really wanna get all your shorts into one screening. But remember, shorter submissions play better with the audience. Come on, I’ve got 55 uncut minutes of bird footage that I really want to show. Please play it? Sorry. We just can’t accommodate that long of a run-time in our show anymore. Our new home only has a strict two hours available for the show and we want to give plenty of people their chance to screen. Alternatively, you could bring a trailer or scene that would meet the requirements for the main show. Or, contact the Bug Theatre to organize your own screening of your film! Try it! It’s fun! How do you choose the videos? Videos are accepted on a first submitted, first served basis online until we reach 60 minutes of content. During the show, the videos are screened in random order, chosen by the hosts. Kinda, but it’s actually the admission price. Open Screen Night is currently $5 for everyone, whether you’re there to screen or just watch. Just pay at the door. Is there a Q&A for the films? No, we just play your videos and our hosts add some commentary here and there. If you’re looking for feedback on your video you can chat with people privately at intermission or after the show, or you can submit your film to another fine program at the venue: The Emerging Filmmaker’s Project that specializes in that very thing. I'm hungry/thirsty during the show. How do I resolve this? 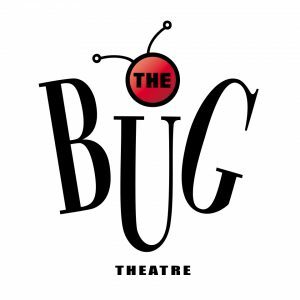 The Bug Theatre has a robust and affordable concession stand serving snacks from popcorn to candy to drinks like soda, beer, or water. Can Open Screen Night help the children? Good question. Probably not. 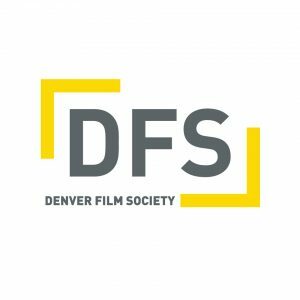 But we are supporting Denver’s EXPLODING multimedia production community in our own special way. Sure, anyone can debut their new film online, but why not see it on the big screen in front of a room full of interesting and talented people? That has to be helpful to someone.